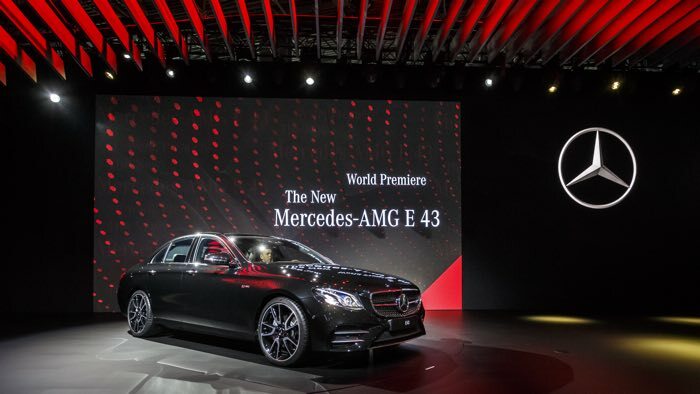 The Mercedes AMG E 43 4MATIC was announced earlier this month and now it has made its worldwide debut at this years New York International Auto Show. The Mercedes AMG E 43 4MATIC is one of the first of the new Mercedes AMG cars that uses the smaller 3 litre v6 engine that is designed to be more efficient than their other AMG models, but still deliver impressive performance. 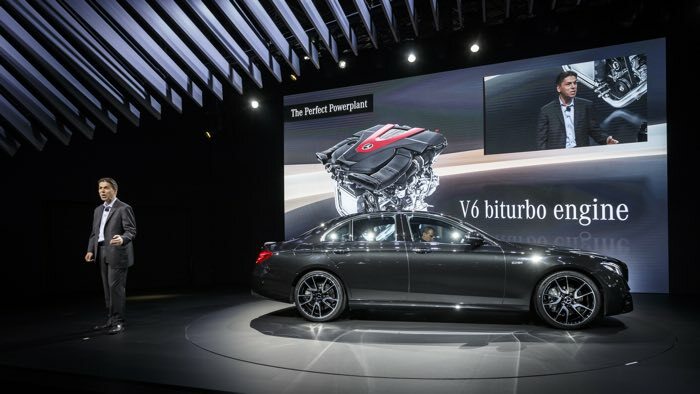 The new AMG E43 has a 3 litre bi-turbo V6 engine that has 401 horsepower and 520Nm of torque, it comes with a limited top speed of 155 miles per hour and can travel from 0 to 62 miles per hour in just 4.6 seconds. The car will be available to buy from June and the first deliveries will start in September, the exact pricing has not been announced although it is expected to retail for around £50,000.